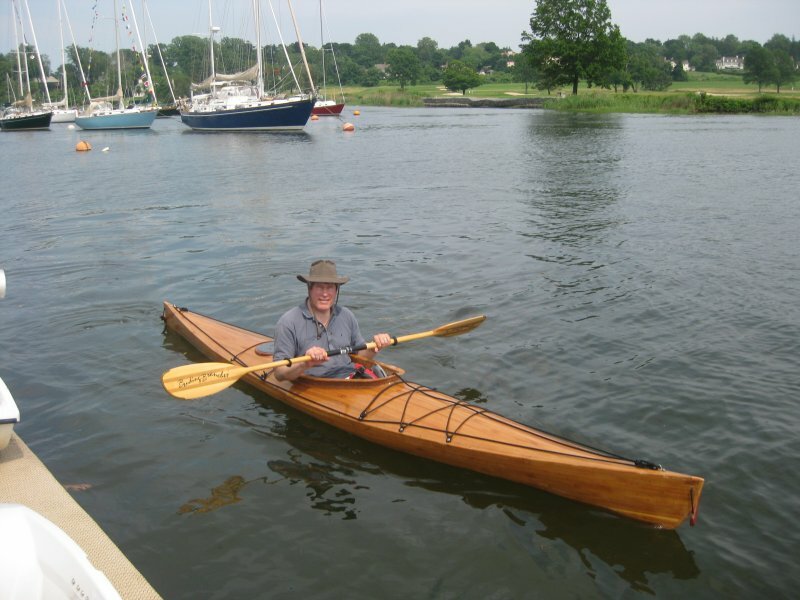 In June 2011 Paul Kueffner launched a cedar-strip kayak that he built for his wife from plans by John Winters. The Caspian Sea design is 15′6″ long, andabout 50 pounds with gear. He built the hull from 1/4″ western red cedar strips, covered with epoxy and 8 oz fiberglass cloth. 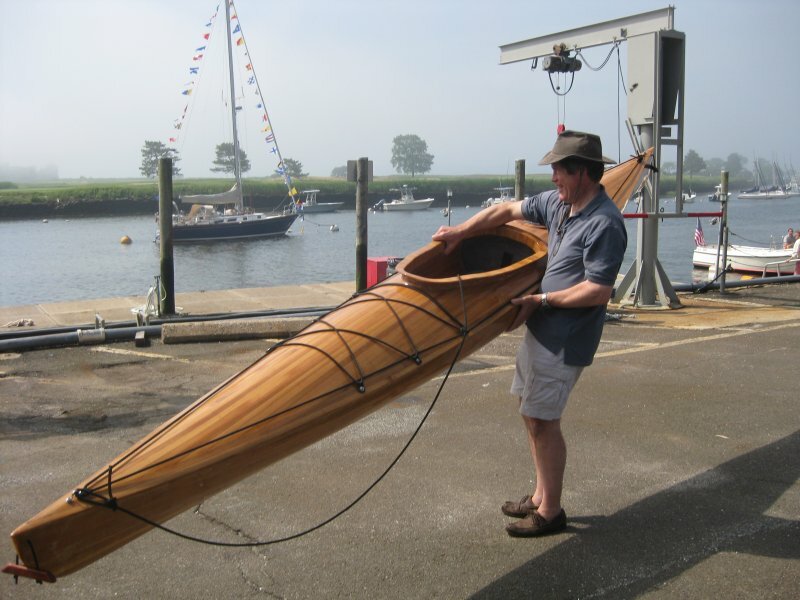 He laminated Douglas-fir to form the interior stem and stern, then laminated oak on the outsides. He included minicel foam bulkheads to provide watertight flotation fore and aft, and Beckson hatch on the afterdeck. His wife, Sue, reports that the boat seems quite stable, comfortable, and fast. It is light enough for her to car top it by herself. Paul adds that she’s planning to explore the Long Island Sound coastline and nearby Norwalk Islands with her newly jealous friends who have kayaks of… other materials.